UNITED STATES: Fifty conservation groups, elected officials, and local businesses have written to the Governor of North Carolina, urging him to ramp up efforts to capture the state's "immense" offshore wind resources. The coalition wrote to governor Roy Cooper setting out a four-point plan to use the state's offshore wind potential to meet its energy needs. This would also reduce pollution, boost North Carolina's economy, and diversify the state's energy portfolio, the coalition wrote. The signatories called upon Cooper to establish a goal for offshore wind power as a portion of the state's electricity generation and support policies that will advance renewable energy, including offshore wind power. Cooper was also called upon to work closely with federal agencies, such as the Bureau of Ocean Energy Management (BOEM) and local univserities on research. In March, BOEM leased 495-square-kilometres off North Carolina's Kitty Hawk shore to Avangrid Renewables for $9 billion. In the letter, the coalition wrote: "This is a step in the right direction but further state-level action is needed to incentivise the development of this clean energy source. "Moving forward, North Carolina's policies must encourage and reward the upfront investment to secure this zero-fuel cost energy." 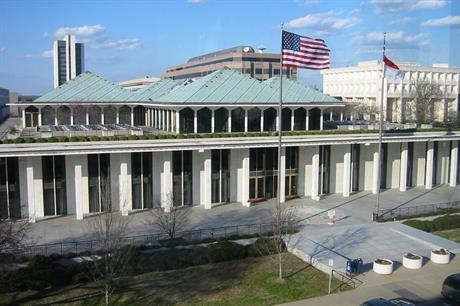 The letter follows the General Assembly of North Carolina's passage of a House Bill to reform the state's approach to integrated renewable electricity generation by amending its energy policies, passed last month. It included an easing of an 18-month ban on issuing permits for onshore wind power facilities. After signing the bill, Governor Cooper issued an executive order to promote wind energy development.